Roadies' Raghu Ram Got Hitched In Goa & It Looks Like The Beach Wedding Of Our Dreams! There's something about beach weddings that I absolutely adore. The sunset lighting, the endless waters, the floral mandaps, and the sheer happiness on everyone's faces make the special day even more endearing. While all of the tinsel town has been getting married, most of them have chosen a more royal theme for their big day. But here's one shaadi that is making me fall in love with its simplicity and beauty. 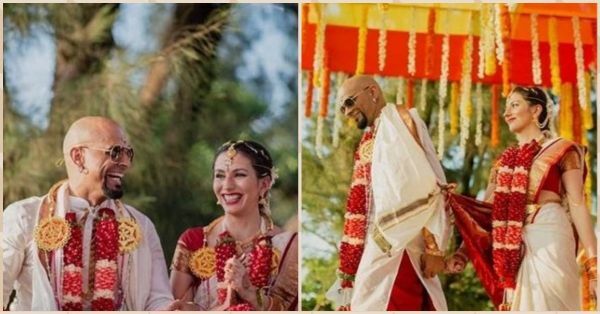 Raghu Ram who became famous after he came as a judge on MTV's popular show Roadies has tied the knot with Natalie Di Luccio. The wedding ceremony was a traditional South Indian ceremony and the groom looked dapper in a white kurta and red dhoti while she made a stunning bride in a white and red sari. Kudos to the photographers at Picsurely, who did a great job at capturing the genuine happiness of two people walking into forever. Friend and work buddy, Rannvijaya Singha also posted a picture with the happy couple and it was adorable! And here is one photo from their pre-wedding functions. Drop-dead-gorgeous! This is Raghu Ram's second marriage. He separated with actress Sugandha Garg in 2016 and the divorce finally came through earlier this year. 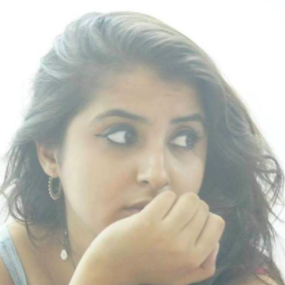 Both Sugandha and Raghu still share a warm relationship and she even posted a heartfelt message for the newlyweds on Instagram. She wrote, "The new Mr. And Mrs. @instaraghu @nataliediluccio Congratulations..it’s going to be epic from the looks of it. ❤️❤️...one from me and the other one from zukzuk. We both love you both and can’t wait to see you back in Bombay! Ps: This is not about being strong or a role model or any other such title..the people in this picture are my friends and family. I’m very happy for them and this is their moment."